If you're going for Alluren as a main setup I would also recommend Cloudstone Curio . Turns into a cast combo with any 3 cmc creatures as long as you have one you can bounce back to your hand. 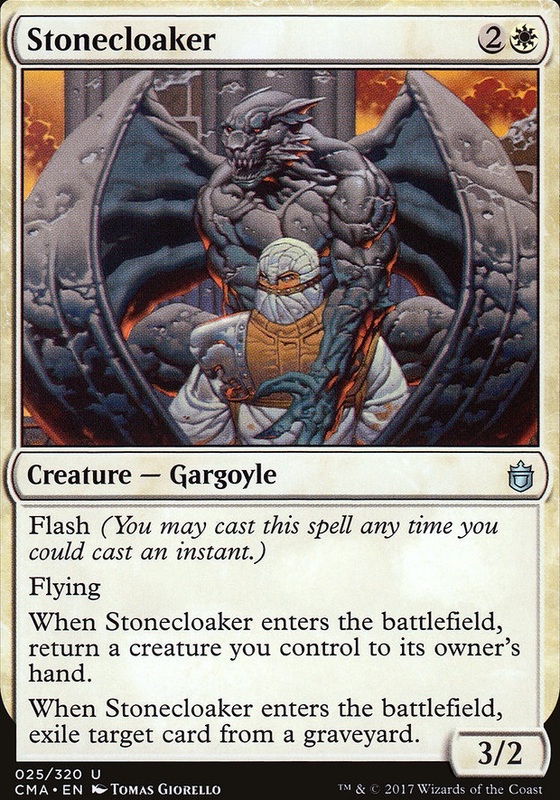 Another personal favorite of mine when I was playing this combo in my Saffi Eriksdotter deck was Stonecloaker . Acted as an anti creatures removal when I needed to emergency bounce something back to my hand to protect it from targeted removal and was graveyard removal to boot. Hey rob_shifflett, I've been looking for a spot to add Stonecloaker , but my focus has been more on consistency and combos rather than disruption with my flicker creatures. I do really like Mirri's Guile because I do shuffle a lot. Normally I'd add top instead, but I've already committed to using Stony Silence . Also, slasherturtle I'll send you the code for it. Stonecloaker just does not get enough credit. Mirri's Guile and Sensei's Divining Top since you can shuffle pretty regularly with Kara on board. Familiar's Ruse would be a cool counterspell in this deck, better than Mana Leak. I knew there was a counterspell that returned a creature to your hand! Clayton was talking about Stonecloaker, which would be an awesome include in this deck. Interesting to note that it can return itself so you can keep replaying this over and over and exiling cards from graveyards. Deputy of Acquittals, Quickling, Whitemane Lion, and Restoration Angel all seem like good additions to the deck. 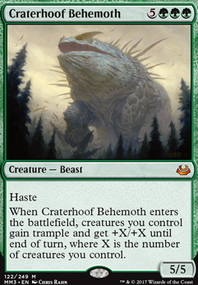 I think you'd want to add more creatures with abusable enters the battlefield effects, though. Mulldrifter and Cloudblazer are both decent card draw and would be nice to pick up and use again. Deadeye Navigator would also be amazing with Mulldrifter and Cloudblazer. If you want cheap cards to cast (also $$ wise) that make a token when they enter the battlefield, Aviation Pioneer and Seller of Songbirds both make 1/1 fliers. 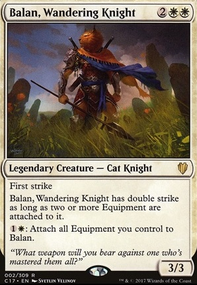 There are a lot of creatures that make tokens when they enter the battlefield, but these creatures are the least mana cost, make tokens with evasion, cost pennies, and can come back from Bishop of Rebirth. Sun Titan would probably be rad in this deck. As would Deadeye Navigator. Cards like Momentary Blink are cool because you can use them in response to a targeted removal spell. Your creature will leave the battlefield and return as a new instance, one that is not being targeted by the removal, fizzling their spell. Deadeye Navigator's effect is similar, BTW, another reason it's so good. nice, i'm thinking of just taking out all of my doublers in my deck, except maybe Mana Reflection. in my play group mana doublers get hated out so much that's it's almost never worth the mana cost, what i cast for 5-7 mana gets easily killed/countered by much cheaper spells usually making them not worth it, i'd rather have cards that are lower threat, but sticks around for more value. 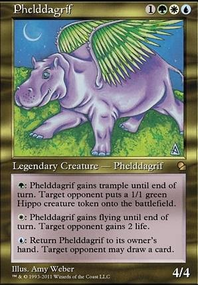 lastly, i was digging really deep in the mtg database last night for Zacama, i think i found my new favorite pet card for the deck Dust Elemental 4 mana cost, flash, and return 3 creatures including himself. lets you go infinite with zacama if you have 14+ land base mana, and even better if you run more ETB creatures like Eternal Witness, Wood Elves, Acidic Slime (just destroy everyone's lands if you can't win with damage). Or just even simple stuff like Impact Tremors can win with the recasting loop. But in case of board wipes you can just save 2 of your creatures for 4 mana, and for how ever much mana you have open you can repeat that. Ocelot44 on Kalemne is the Best RW Voltron General. Thank you so much for playing my deck on your channel! That means a lot to me! Leave / Chance is not strictly worse than Teferi's Protection! I do plan on adding TP soon, although it will replace Stonecloaker, not LtC. 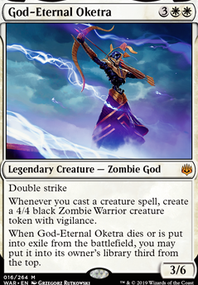 I plan on running them both in tandem, as they are both fantastic Boros Charm effects! Leave to Chance is sometimes better than Teferi's Protection in that it's one less to cast, it's a Brand effect, and it's an emergency draw source! I always recommend for RW players to run both because they are both awesome! You really need to wait until end of turn to activate abilities! Cracking Expedition Map that early caused you to get three-for-one'd when the Niv-Mizzet, Parun deck cast Timetwister, you activated Starke of Rath on your main phase, allowing your opponent to untap with it, and you rarely ever held up mana for removal! I understand that this was your first time playing with an unfamiliar deck, but all of these seem to be big errors! I'm sorry for being harsh, but you had so many opportunities for better plays!